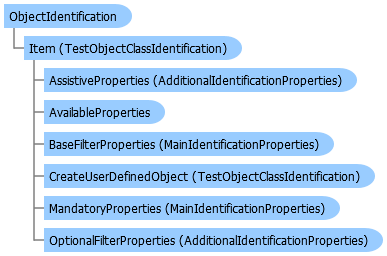 A collection that represents the Object Identification dialog box, which enables you to configure the properties that UFT learns for each test object class. This object enables you to access and configure object identification and smart identification properties for all test objects and user-defined objects contained in the Object Identification dialog box. However, you cannot add new user-defined objects from your automation script. To add a new user-defined object, click the User-Defined button in the Object Identification dialog box. Tip: You can click the Generate Script button in the Object Identification dialog box to automatically generate an automation script containing the object identification settings currently contained in the dialog box.